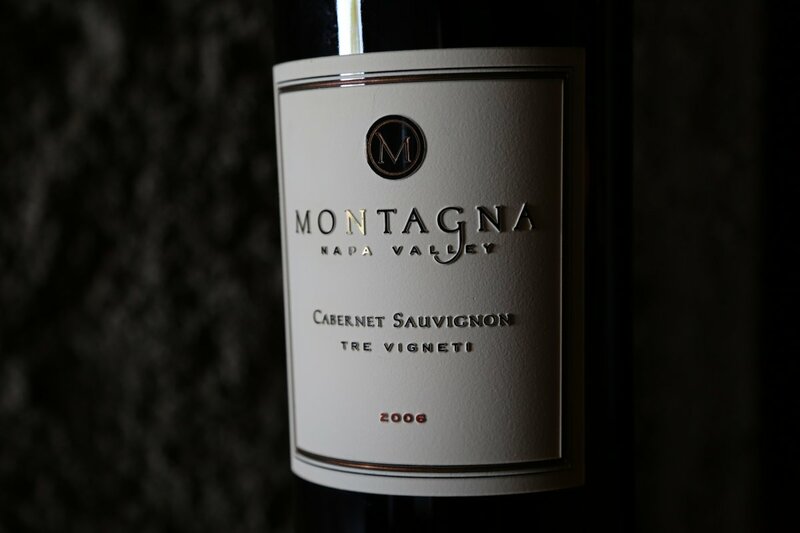 Montagna Napa Valley is a beautiful estate with wine caves that has been slowly developed over the past decade. 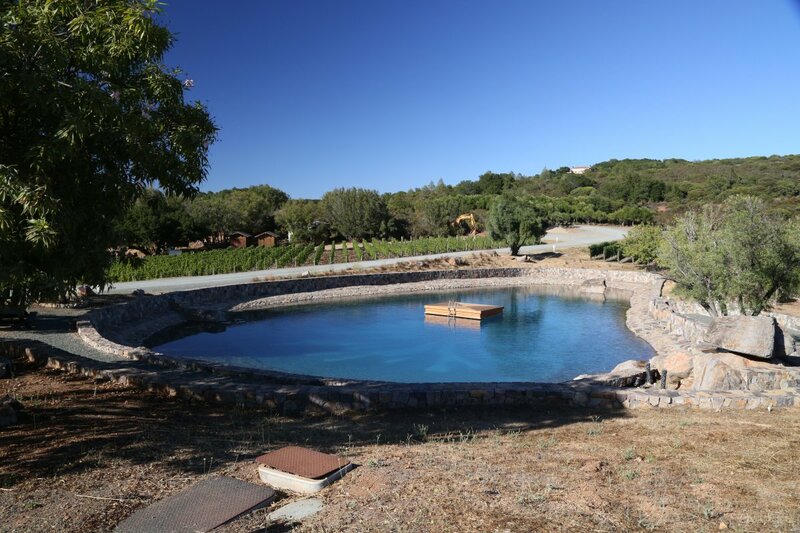 Proprietor Bob Long and his family have been associated with Pritchard Hill since the 1960’s; this is among the best terroir in Napa to not have a sub appellation designation. Bob’s parents first fell in love with Napa in the 1950’s and their family visited the valley fairly often. 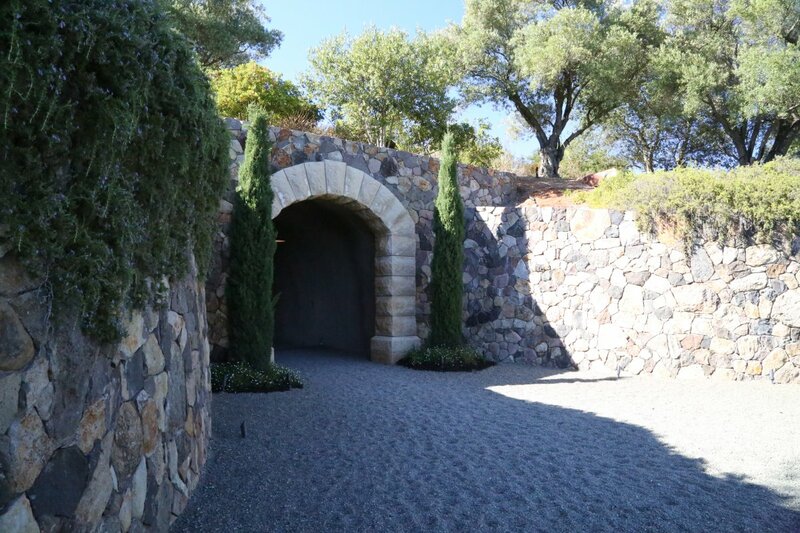 Bob remembers his first trip to Napa in 1955, driving up from their family home in Palo Alto and arriving at Charles Krug and being impressed with the huge casks as well as the invigorating smells inside the winery. His uncle was well traveled and had visited France a number of times. He introduced the family to French wines and their trips to Napa become more frequent until Bob’s father decided to purchase hillside land. Pritchard Hill in the 50’s and 60’s was little developed; it was used almost exclusively for ranching and cattle grazing and the “main” road in the area was a dirt. 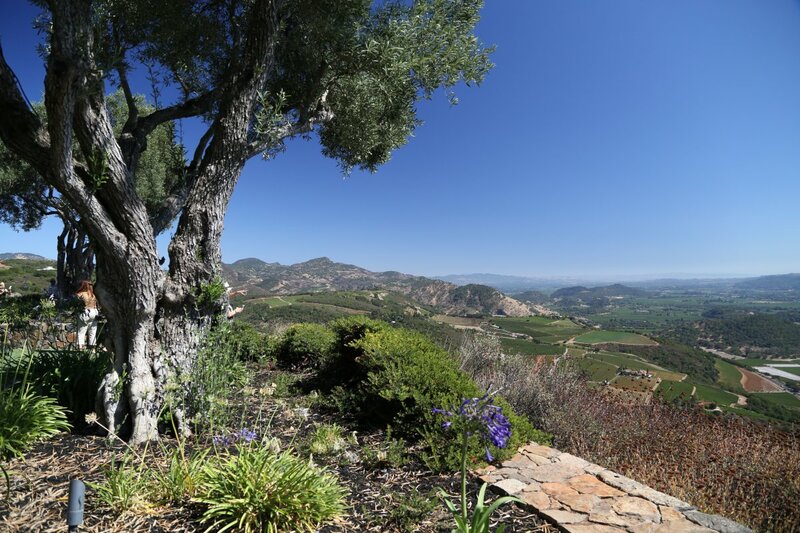 Bob’s parents met local wine making families including the Martini’s and the Long family ultimately purchased nearly 1000 acres in this now exclusive winery neighborhood. 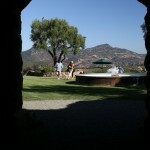 Top wineries have estates here including Brand, Bryant Family, Chappellet, Colgin, Continuum, and Ovid, among others. 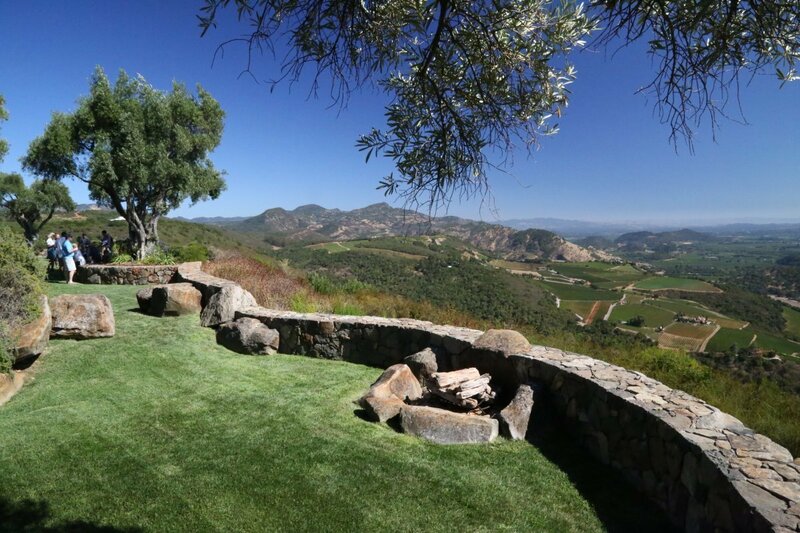 Pritchard Hill certainly boasts some of the finest views in the valley – however this property takes those views to the next level. 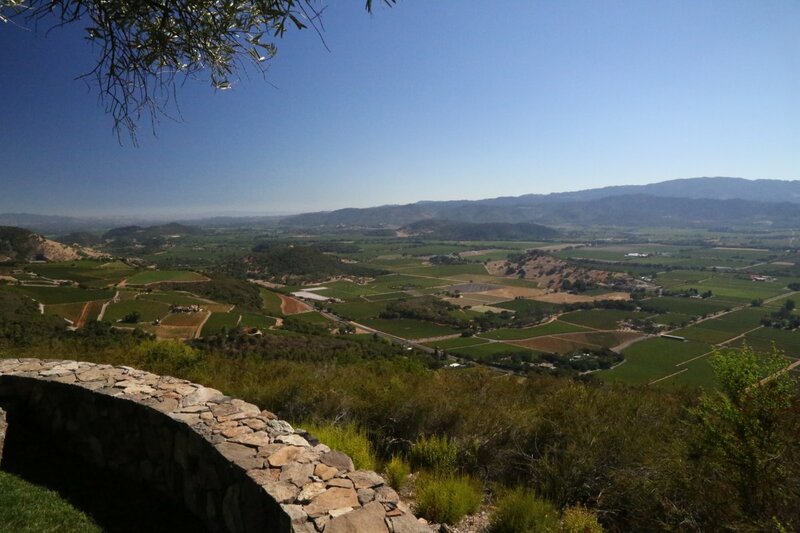 From here you are perched over the edge of Oakville with some of the best and most intimate looks onto the valley floor directly below you as well as expansive views up and down the valley and of the Mayacamas mountain range. The hawks and large turkey vultures certainly have the views when they typically soar high on the warm summer afternoon updrafts – but their views do not top the vistas from this property by to much. Montagna sits in a unique geographical part of the “hill”. It is perched at the edge of the Vaca range and almost forms a corner of this part of the mountain. From here on a clear day you can see San Pablo Bay in the south, Mt. Diablo much further in the distance and Mt. St. Helena in the north. 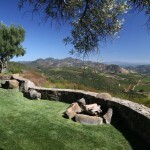 It is an intimate location – because there is a rather steep drop to the valley floor 1000+ below and you are right above the floor rather than any of a number of other scenic locations up and down either the Vaca or Mayacamas mountain ranges which are set back quite a ways from the actual valley. 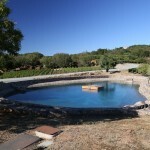 Bob and his brother David helped build nearby winery, David Arthur starting in the late 1970’s. At that time they were focused entirely on Chardonnay. Today the red soil of this region matches the colors of fruit produced by the various varietals planted here. 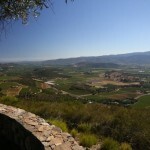 Pritchard Hill is a region known for its high quality red wines. Montagna is appropriately named – it means “mountain” in Italian. 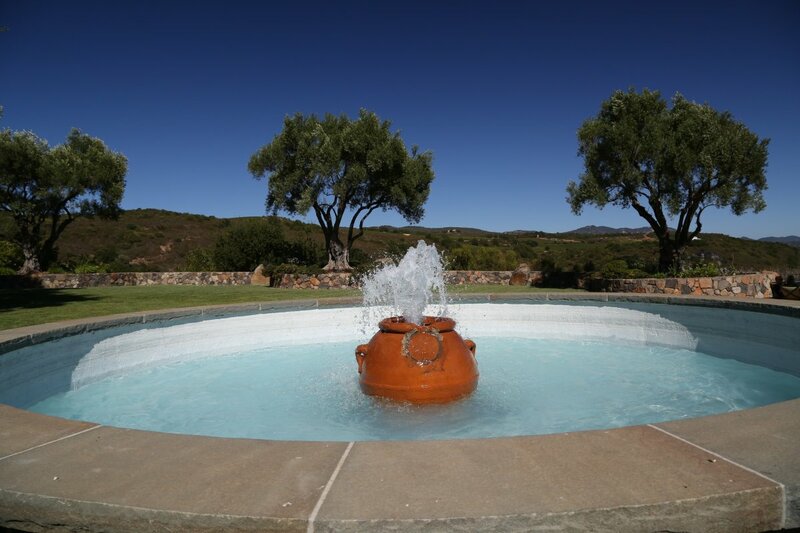 Fourteen acres are currently producing several red varietals including Cabernet Sauvignon, Cabernet Franc and Petit Verdot. 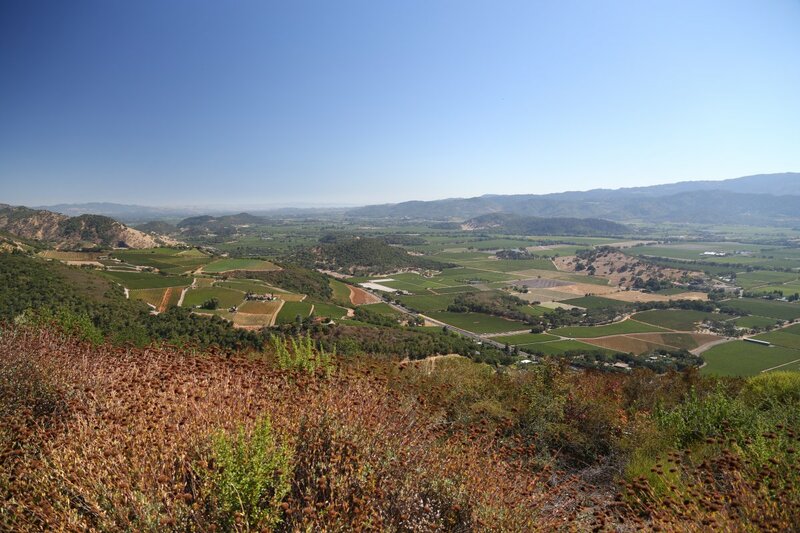 An adjoining 18 acres have been planted entirely to several clones of Cabernet Sauvignon on the original vineyard for the David Arthur’s “Elevation” wines. The focus of Montagna Estate is on Cabernet Sauvignon. An extremely unique wine for Napa is their Quattro Bianchi – composed of four “obscure” for Napa and California varietals (typically Fiano, Greco di Tufo, Ribolla Gialla and Arneis). 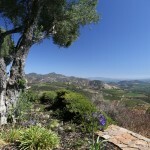 The grapes from this wine have historically been sourced from offsite locations. However, the varietals that compose the blend for this wine have been planted on the estate and once the vines are in production – will be entirely sourced from the property. 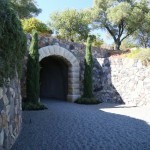 There are not many white wines planted on Pritchard Hill – these are certainly some of them. 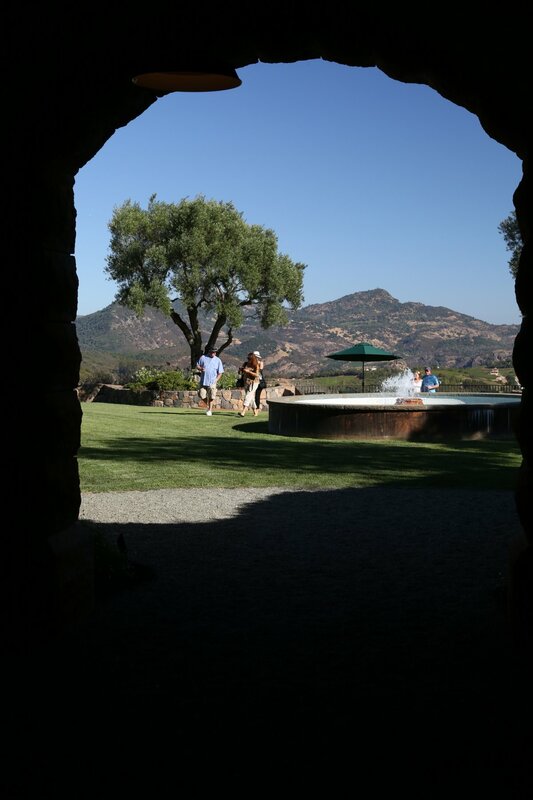 2103 Quattro Bianchi Tasting notes provided by Montagna Estate: A bright straw color with light golden tint and subtle green hues offers aromas of white peach-pineapple, citrus blossom and citrus rind, hints of lemon grass and savory notes of sage blossom/bay laurel. The palate is plush and round with flavors of honeydew melon, kiwi and citrus. Showing moderate acidity with a clean persistence. Best from 2014 to 2017. The 2007 Cabernet Sauvignon, like the previous vintage is blended slightly with Cabernet Franc and Petit Verdot. The bouquet is somewhat smoky and earthy complemented well with sweet fruit including black currant and black cherry. The entry on the palate is soft but quickly gains in complexity finishing with dusty tannins and touches of mocha. This is a balanced wine with moderate structure. It drinks great by itself but certainly has the characteristics of being able to pair with a variety of foods. 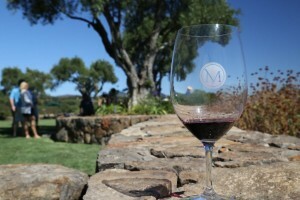 The 2012 Cabernet Sauvignon had been bottled only seven weeks prior to our tasting. Aromatically we were expecting this wine to be a bit closed but that was not the case. Despite being so young, this wine shows a lot of life in the bouquet. 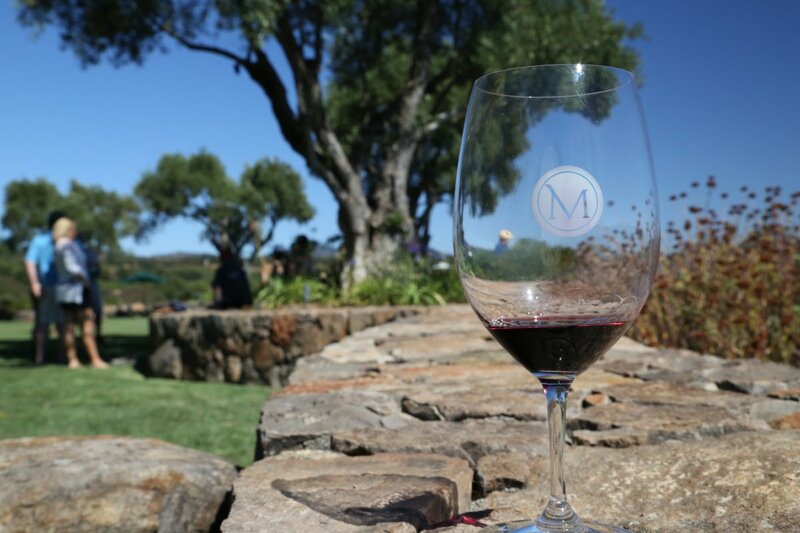 Lively, lifted and elegant aromas of both red and black fruit show with just a hint of sage. While initially a bit tight on the palate this wine evolves fairly quickly when allowed to breath. 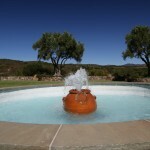 The structure integrates more fully with the fruit and becomes more balanced. Flavors of black cherry and ripe plum. Good acidity – the tannins linger for some time – more on the front of the palate than the back. Nile Zacherle has been making the wine since the first commercial vintage (2006). Hope the new year is your finest!